Above left - Two major reasons for the playoff victory for the Willow River Red Sox over the Quesnel Clippers in the Prince George and District League. 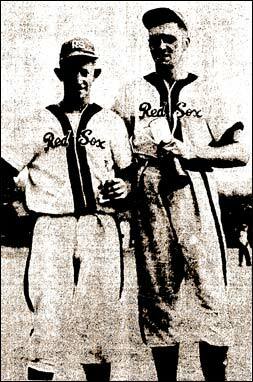 Catcher Willie McDermid, who led the league in hitting with an amazing .502 average, and pitcher Sid Delano, who racked up seven wins with no losses, are seen holding the trophies for their outstanding performances. 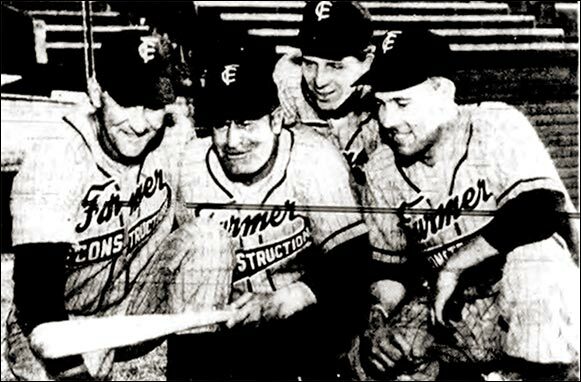 Right - Charlie Boyd of Victoria's Farmer Construction about to be congratulated on a home run blast. 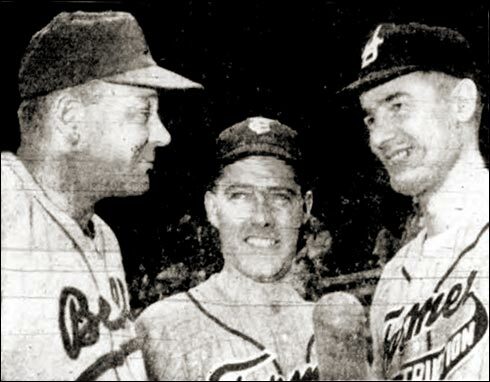 Below left - When Bellingham visited Victoria in mid-June, there was chance for a reunion of sorts as three former players of the pro Western International League of 1953 exchanged greetings before a game at Royal Athletic Park. 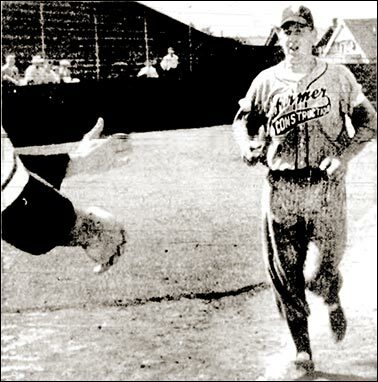 Below right - Right-hander Gary Driessen from Central Washington U. was a star hurler in the Alaskan semi-pro league with Fairbanks before spending a half-dozen summers in Canada suiting up for Oliver in the Okanagan Mainline League.